Community Centre - now known as the "Old Arena". The arena first opened for the season in 1956. 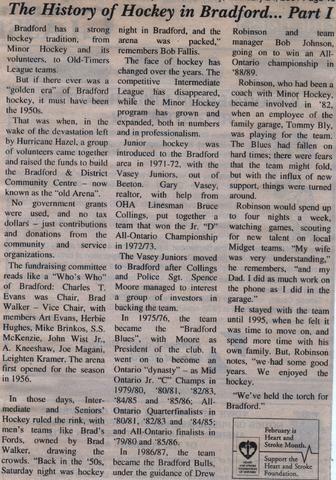 In those days, Intermediate and Seniors' Hockey ruled the rink, with men's teams drawing the crowds. 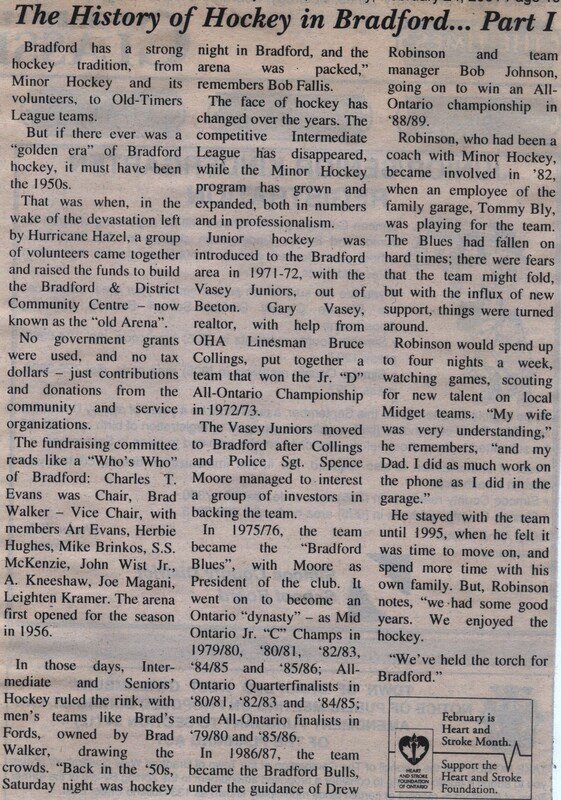 In 1975/76 the team became the "Bradford Blues". In 1986/87 the team became the Bradford Bulls.